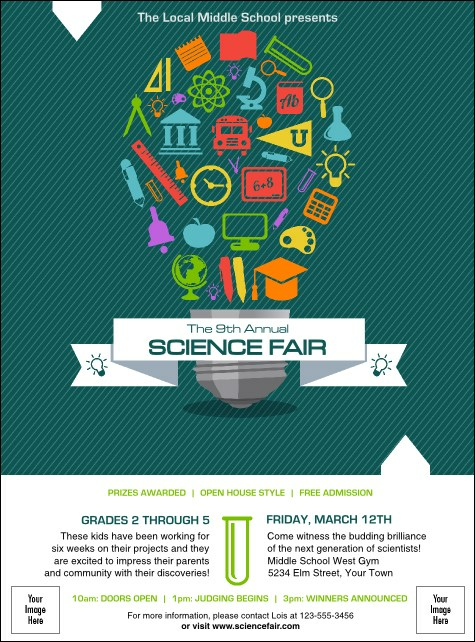 Show an amusing understanding of your potential guests when you use the Science Fair Flyer! This inventive template uses brightly colored images of popular academic accessories to form a massive ribbon-holding light bulb. Use 17 open lines for event details and even add custom images in two spaces at the bottom. Choose the right flyer for every occasion with TicketRiver.com.au!